The power that nature beholds had always inspired curiosity in me. 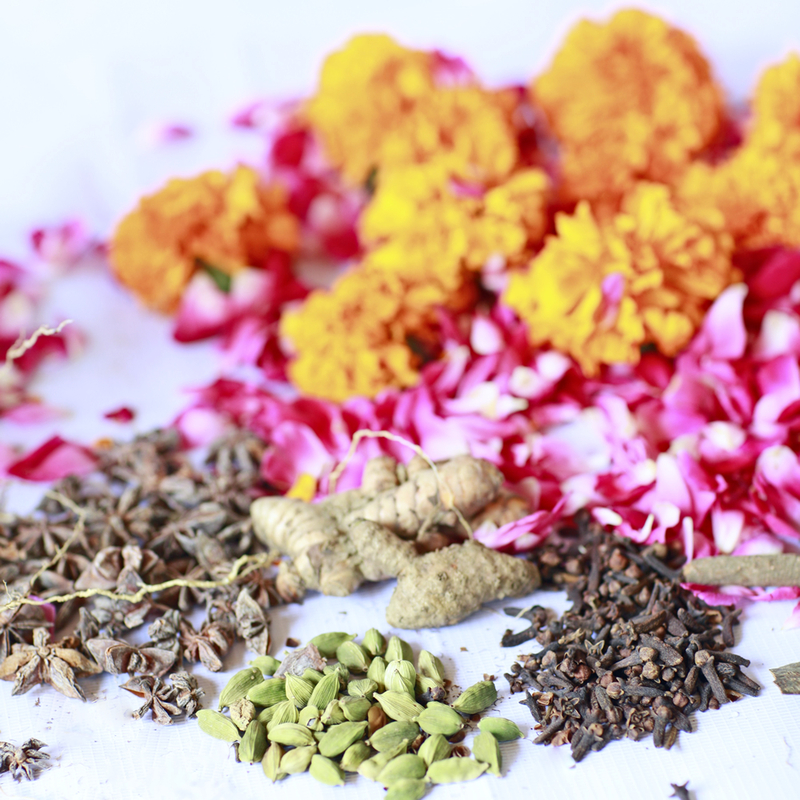 My father, a botanist, fostered this ever-growing hunger to discover the healing properties of each botanical embedded in the ancient medicine of Ayurveda. He would uncover the secret of each leaf, each tree, and each flower on our afternoon walks in Kerala. These were magical moments for me. I treasure Ayurveda. Long before there were test tubes and labs, those engrossed in the science took the time to use intuition and experience to distinguish the qualities of nature. And now research proves that this knowledge from thousands of years ago ring true. Dedicating countless hours scouring ingredients from around the world to find the purest essence of exotic spices, enchanting blooms, and precious woods, combined with the knowledge of Ayurvedic experts allows me to bring you a collection that is both exquisite and effective. Taïla’s mission is to empower skin’s natural healing process. I’ve personally designed each product to help guide skin into its own unique balanced state. Ultimately skin is brought into harmony with only pure ingredients that honor your beauty. An experience unique to every individual. It is my privilege to share Taïla with you. My childhood memories are riddled with my mother grinding sandalwood on a stone as she carefully combined turmeric and honey to create a luxurious face mask. This was my first glimpse into Ayurveda. Nostalgia pervades me as I remember her massaging herbal shampoos made with fresh hibiscus and aloe that would leave my hair strong and silky. At a young age I recognized that potent raw ingredients yield results. I’ve experienced first hand the harm that beauty products filled with artificial chemicals can cause. Facing a myriad of skin troubles, I was in desperate pursuit to heal my skin. It was then that I turned to what I had grown up with and rediscovered the healing wonders of Ayurveda. This is what restored me. My knowledge united with passion led me to the creation of Taïla. I’ve experienced first hand the harm that beauty products filled with artificial chemicals can cause. Facing a myriad of skin troubles, I was in desperate pursuit to heal my skin. It was then I turned to what I had grown up with and rediscovered the healing wonders of Ayurveda. This is what restored me. My knowledge united with passion led me to the creation of Taïla.